Patti Sloley was born, raised and educated in Ghana; the Land of many bountiful resources; gold, oil, diamond, bauxite (aluminium), timber, lush forests, beautiful people, rich culture and good food. Ghana has abundant seafood because of its coastal location and good game and wildlife from hinterland. Fruits and vegetables are always fresh. Patti has spent the last 23 years living with her family in the UK and is Ghana’s best export in the food and drink sector. She works as Front of House and a resident Chef at the Novelli Academy and runs an African dining course titled ‘A Plate in the Sun’ at the Academy. Jean-Christophe Novelli’s Queen of Spice and culinary spiritual sister is something special. Putting aside her youthful refreshing looks and excellent physique, Patti is definitely getting something right with her Ghanaian cuisine. Like most African cuisine, Ghanaian cuisine is very varied and tasty. The choices are endless and sometimes challenging to prepare by the non-Ghanaian because of all the fuss created by tradition during preparation. A Ghanaian with true spirit, Patti makes this challenge achievable through preparation alongside her unique way of teaching at the African dining course she provides at the Academy. Her enthusiasm is hard to beat! 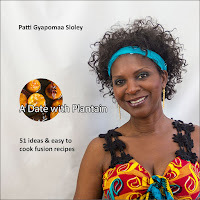 She is passionate about the things she loves and is clearly on a mission to introduce the world to her truly delicious Ghanaian and indeed African cuisine through her fusion-inspired cookbooks ‘A Plate in the Sun’ and ‘A Date with Plantain’. Patti sees food as a great communicator that can bring diversity and enjoyment to your table. Her bubbly personality adds a fun factor to cooking and her creative style shows African foods in a light you may not have seen before. I was keen to find out more when I caught up with the Chef making waves with Ghanaian cuisine in the UK. I've always loved good food but never imagined that I would express it this way. Halfway through writing my first cookbook 'A Plate in the Sun,' I met a charming lady in a nail bar. In conversation I mentioned I was writing a cookbook. She happened to be Jean-Christophe Novelli's fiancée, Michelle, and that's how my work with the Novelli Academy in Hertfordshire began. They say 'Life, is what happens to you when you're busy making plans'. Perhaps it was meant to be and I feel very lucky to be able to express my passion for food. What inspires you most about cooking? Eating! My earliest inspiration comes from my mum's fantastic home-cooking. I'm inspired by the adventure in flavours, inviting aromas, experimenting with new ingredients, creating and innovating. I love seeing the happiness on people's faces when they enjoy my cooking and want the recipe. What's the secret behind the delicate Ghanaian dishes that you create? There's no secret really. Cooking, I believe, is a form of art and food is all about the senses. I've always enjoyed fashion and interior decor and feel that I'm able to draw on these when it comes to creating and presenting my dishes. How does Ghanaian cuisine compete with other international cuisines? Call me biased, but Ghanaian cuisine for me is probably one of the culinary world's best kept secrets. I have often been asked to describe it in three words and it's always flavour, flavour, flavour. With our great combination of ingredients and aromatic spices, it's exciting to see the interest it's generating and I'm delighted that it's finally starting to get the recognition it deserves. Would you say that anyone who reads one your cookbooks can successfully create a beautiful Ghanaian dish? I'm thrilled at the number of people who have cooked dishes from both books and have proudly commented or posted pictures about of their efforts on Facebook. I use readily available ingredients and the recipes are easy to follow. Whether you're vegan, vegetarian, meat-eating or gluten-free, there's something for everyone. Some of my dishes are becoming part of their weekly repertoire and that excites me. 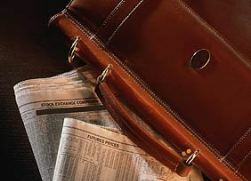 What is your favourite past-time? This is a difficult one as I have lots of interests. I enjoy a great laugh with friends and family around a table with good food of course, before or after a good movie. If you had to do it all again, what would you change? Change? I don't think I'd change anything. I'm loving what I do and feel lucky to be able to indulge my passion. I love going home to Ghana, for the glorious sun and spending precious time with family and friends, but outside Ghana, I have to say Manhattan. It has a buzz and energy I love. Try these two recipes below and follow Patti @PattiSloley She enjoys demonstrating at food festivals and shares her exciting menus at exclusive private dinners and pop-up suppers in a local Harpenden wine cellar. 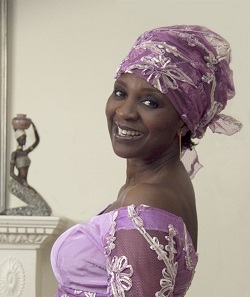 She regularly uses African ingredients and has the cultural credibility and skills to speak with authority on her recipes and techniques. She is lively with a pleasant personality, very enthusiastic and passionate about the things she loves. A Ghanaian with a truly international perspective. Another classic West African dish, based on ground melon seeds and spinach, it is typically cooked with palm fruit oil although vegetable oil works equally well. In Ghana it’s also known as aketsua frowee or palaver sauce (palaver - a West African word for trouble - because of the arguments over how to cook it). I like to use both breasts and stewing lamb. I occasionally use other meats and with fish I use firm white varieties like cassava fish or monkfish with smoked or salted fish to add depth. Agushi is a delicious eating experience and I’m sure, like Oliver Twist, you will ask for more. 1. 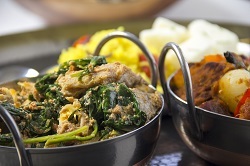 Place all the ingredients, except the Maa’s Tomato Sauce, agushi and spinach into a saucepan. Stir, cover and leave to simmer and steam in its own juices until the juices run clear. 2. Add enough water to just cover the meat and form a stock, bring to the boil, and skim any froth that rises to the surface. Reduce the heat and simmer until the meat is tender and the stock reduced. Remove from the heat. 3. Simmer the Maa’s Tomato Sauce in a large pan. Sprinkle in the agushi, stirring until the texture resembles fine scrambled eggs. 4. Add the meat and stock and stir in the spinach. Gently simmer until the spinach has wilted and combined. 1. Cut off and discard the plantain ends. Slice in half crossways and then lengthways. Discard the skin. Steam for 5-8 minutes and allow to cool. 2. Slice the dates lengthways to make room for the filling. Be sure not to cut right through. Discard the stone. 3. Mash the plantain and mix in the cream cheese. 4. 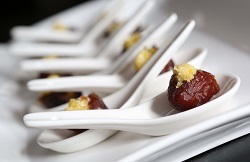 Stuff each date with some of the mix and gently squeeze the date back to almost its original shape.